The first annual SciFlix Film Festival will be taking place at Florida Atlantic University in storied Boca Raton Florida. The festival is held in conjunction with the 2015 John Chappell Natural Philosophy Society‘s annual conference held in the same place. Florida Atlantic University (also referred to as FAU or Florida Atlantic) is a public university located in Boca Raton, Florida, with five satellite campuses located in the Florida cities of Dania Beach, Davie, Fort Lauderdale, Jupiter, and in Fort Pierce at the Harbor Branch Oceanographic Institution. 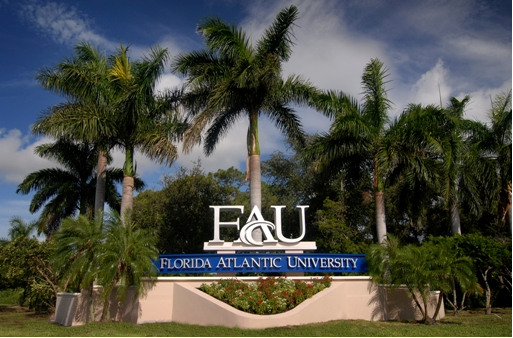 FAU belongs to the 12-campus State University System of Florida and serves South Florida, which has a population of more than five million people and spans more than 100 miles (160 km) of coastline. Florida Atlantic University is classified by the Carnegie Foundation as a research university with high research activity. The university offers more than 180 undergraduate and graduate degree programs within its 10 colleges in addition to its sole professional degree from the College of Medicine. Programs of study span from arts and humanities, the sciences, medicine, nursing, accounting, business, education, public administration, social work, architecture, engineering, computer science, and more. Florida Atlantic opened in 1964 as the first public university in southeast Florida, offering only upper-division and graduate level courses. Although initial enrollment was only 867 students, this number increased in 1984 when the university admitted its first lower-division undergraduate students. As of 2012, enrollment has grown to over 30,000 students representing 140 countries, 50 states and the District of Columbia. Since its inception, Florida Atlantic has awarded more than 110,000 degrees to nearly 105,000 alumni worldwide. In recent years Florida Atlantic has undertaken an effort to increase its academic and research standings while also evolving into a more traditional university. The university has raised admissions standards, increased research funding, built new facilities, and established notable partnerships with major research institutions. The efforts have resulted in not only an increase in the university’s academic profile, but also the elevation of the football team to Division I competition status, the on-campus stadium, more on-campus housing, and the establishment of its own College of Medicine in 2010.